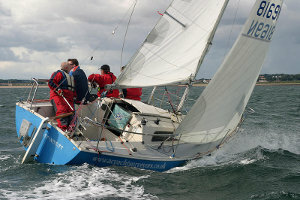 AC Yacht and Boat Surveyors are an independent professional marine survey company based in the North East and Swansea specialising in Yachts, Power Craft, Motor Boats, Motor Yachts, Narrowboats, Fishing Boats and Work Boats, RIBS and Multihulls, offering a fast friendly reliable service tailored to all your needs. Within this site you will be able to find information about our Yacht Surveying Services available throughout Northern England including Northumberland, Tyne and Wear, Durham, Wearside, Tyneside, Teesside, Yorkshire, Humberside, Nottinghamshire, Lincolnshire, Lancashire, Lake District and Cumbria, South-East and South-West Scotland, The Clyde, Argyll, Fife, East and West Lothian, Midlothian. The Borders are no problem, however, UK wide, Europe & International surveys can be arranged. Yachts, Power Craft, Motor Boats, Motor Yachts, Narrowboat, Fishing and Workboats, RIBS and Multihulls. From 4 meters to 36 meters. Angus Corry has over 40 years experience as a sailor, over the years refitting and maintaining various kinds of vessels. Having completed the International Institute of Marine Surveying (IIMS) Yacht and Small Craft Surveying course and graduated AC Yacht and Boat surveyors understand both your needs and requirements. AC Yacht and Boat Surveyors are looking forward to working for you. Tyne and Wear, Northumberland, Durham and Teesside and North East: Amble, Blyth, Friars Goose, Gateshead, Hartlepool, Kielder, Newcastle, North Shields, Royal Quays, Seaham, South Shields, St Peters and Sunderland. Yorkshire: Whitby, Scarborough, Bingley, Boroughbridge, Bradford, Bridlington, Brough, Doncaster, Goole, Hebdon Bridge, Huddersfield, Hull, Leeds, Naburn, Ripon, Ouse and Ure, Selby, Skipton, Sowerby Bridge, Todmorden, York. Lincolnshire, Humberside and Nottinghamshire: Burton Waters, Brigg, Glanford, Grimsby, Newark on Trent, North and South Ferriby, Winteringham. Lake District, Lancashire and North West: Bowness on Windermere, Coniston, Derwent Water, Farndon, Feetwood, Glasson, Maryport, Preston, Ullswater, Whitehaven, Windermere. Scotland: Adrossan, Anstruther, Burntisland, Dalgety Bay, Dunbar, Dunstaffnage, Edinburgh,Eyemouth, Firth of Clyde, Firth of Forth, Fisherrow, Granton, Inverkip, Largs, Leith,Loch Creran, Loch Lomond, North Berwick, Oban, Port Edgar, Port Seton, Rhu,St Abbs, Troon. Many thanks for carrying out the Insurance survey on my yacht so promptly. I found your report easy to understand and the use of photographs to highlight items requiring urgent attention most helpful your items of a more cosmetic nature were also appreciated. Many thanks for your recent survey of our Westerly Seahawk, and for your very comprehensive report. Your thoroughness in conducting the survey was impressive, and I was very pleased that you were comfortable with us being present at the survey, as it allowed us to discuss your findings as we went along. 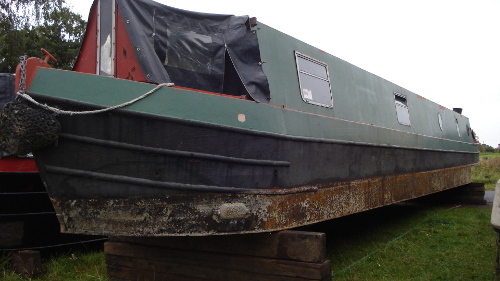 Your professional advice on dealing with the osmosis problem you identified was particularly appreciated, and as a result of your services we were able to negotiate a very satisfactory price for the boat. We would certainly be pleased to use your services again should we require any further advice on the boat, and would also be pleased if you were to use this endorsement when dealing with any future customers. I would like to thank you for your professional help and advise during and after the purchase of my Arvor 25. Your survey was responsible for some corrective work being carried out before the sale was complete. This included a new propeller and the replacement of the perished exhaust system and the re-fitting of the skeg. 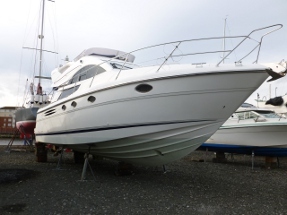 Thank you very much for your services regarding the survey of my 2006 Bavaria yacht.I have now received your very comprehensive report which gave me the confidence to conclude my purchase. It was a pleasure meeting you and being able to be in attendance during the surveyand inspect the hull while she was in the cradle. This will give me a better understandingof what is ‘under the water’. Your very prompt, friendly and efficient service ensured the marina lifting costs were minimised. Being able to discuss your findings with you in layman’s terms was appreciated and I thank you for your patience. Finally, just to mention, your fee was extremely competitive and I know already that a few others in my part of the country will be holding onto your business card for the future.